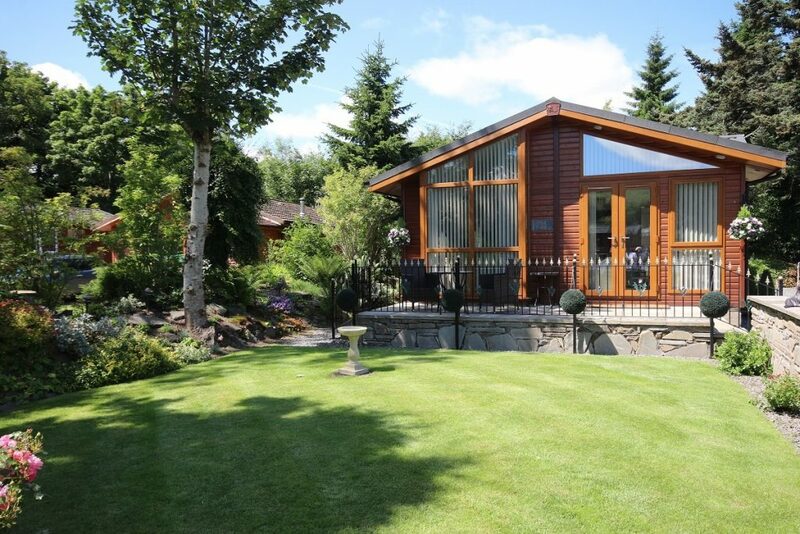 Grand Eagles Lodge Park is a unique luxury lodge development of 60 Lodges set in over 100 acres of lush green woodland in the village of Auchterarder in beautiful Perthshire. Nested at the foot of the Ochils, a long range of steeply sided round topped hills, stretching 25 miles,the park has its own river running through it and with country walks on your doorstep, relaxing is part of the way of life here. Our exceptional holiday lodges are built to your specification by craftsmen in the UK to the highest standards.and all have outstanding plots with their own custom built patios and 6 car driveway. Each lodge has panoramic views and privacy outlooks and are detached buildings-the ideal holiday home to own in Scotland. The park is a brand new development built in 2013 and hosts an eclectic collection of bespoke luxury lodges each designed with comfort and relaxation in mind. The custom built heritage walls and decking add to each homes individuality and add to the general aesthetics of this unique woodland site. Owning a lodge can be rewarding both as a lifestyle choice and as an investment opportunity with our guaranteed return on investment scheme. Use your lodge for family holidays and on vacant weeks attract a passive income from this highly desirable tourist destination. The area hosts many annual well attended events too which mean quality self catering accommodation in Perthshire is much sought after. Our holiday park is open all year and we have experts on hand to discuss 7 days week to answer any questions you may have. Please do not hesitate to get in touch or visit for a coffee and no pressure viewing on the park and surrounding area.